The director of the Rotterdam Kunsthal and staff of Instituto Buena Bista of Curaçao are launching ‘All you can Art 3’ on July 14, 2018. 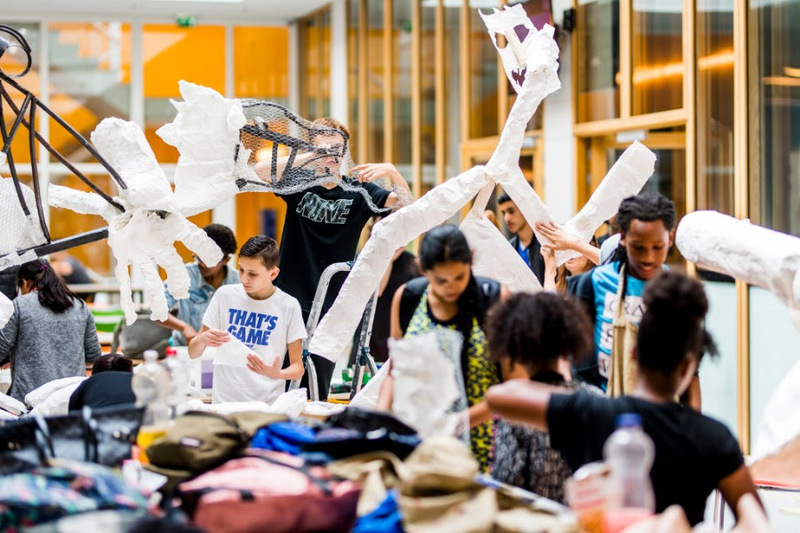 This summer, for the third time, the Kunsthal Rotterdam will host ‘All you can Art’. Every day between July 14 and August 26, 2018, all our visitors will have an opportunity to join the artists in making art according to the master-apprentice principle in the All you can Art 3 studios, exhibition and Summer School. For All you can Art 3, David Bade, Tirzo Martha and their team of the Instituto Buena Bista (IBB) Curaçao are joining forces with the artists Liesbeth Labeur, Rieneke de Vries, Elvis Chen, Roxette Capriles and Elke Uitentuis. 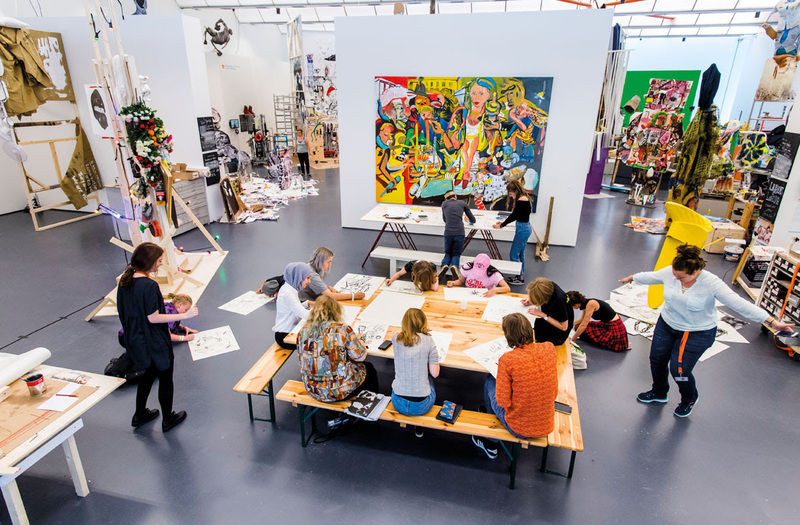 Together with the public and our local partners – Stichting Laurens (geriatric care), the Zuiderpark College (VMBO – preparatory secondary vocational school) and Antes (psychiatric and addiction care) – they will create new artworks and teach the Summer School students. All you can Art 3 includes various successful formulae from the previous editions such as the Think Tanks, pre-master classes and the Summer School. This years ‘special asset’ of All you can Art 3 is a mobile studio that enters the neighbourhood in Rotterdam to reach more people, stimulate exchange and encourage meetings between cultures.